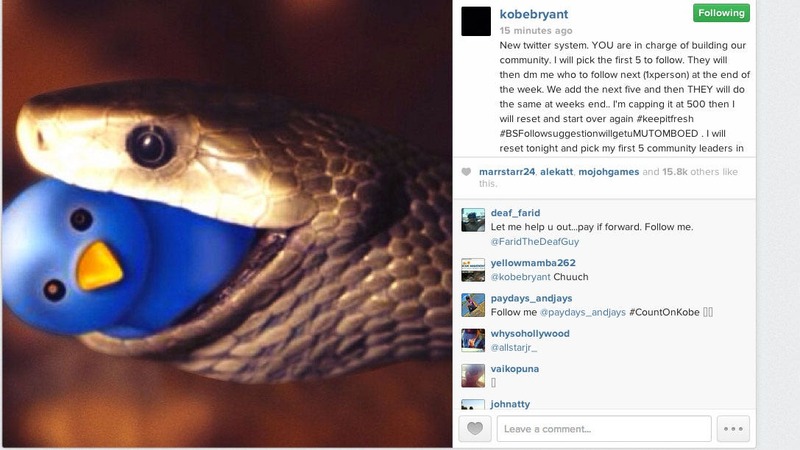 Kobe Bryant is one of the most interesting athletes to follow on Twitter. Whether he’s tweeting about basketball or any other topic, he’s usually blunt and to the point while mixing in some humor. This was his first tweet ever, a little more than one year ago. 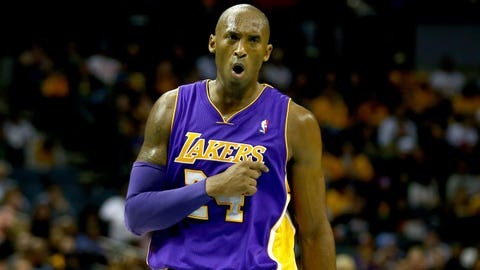 On Monday, the Lakers superstar announced a new system for how he will follow fans on Twitter. It might give you a headache since it’s a tad convoluted, but we have to give him props for one of his many hashtags. Yes, #BSFollowsuggestionwillgetuMUTOMBOED is solid. We at The Buzzer tip our caps to Kobe for it.